Inspiring the next generation to imagine, design and build a better future! 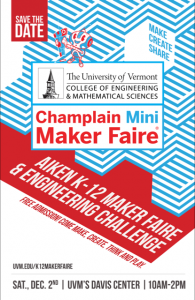 The creators of the Champlain Mini Maker Faire and the University of Vermont will host Vermont’s first statewide K-12 Maker Faire at UVM’s Davis Center. 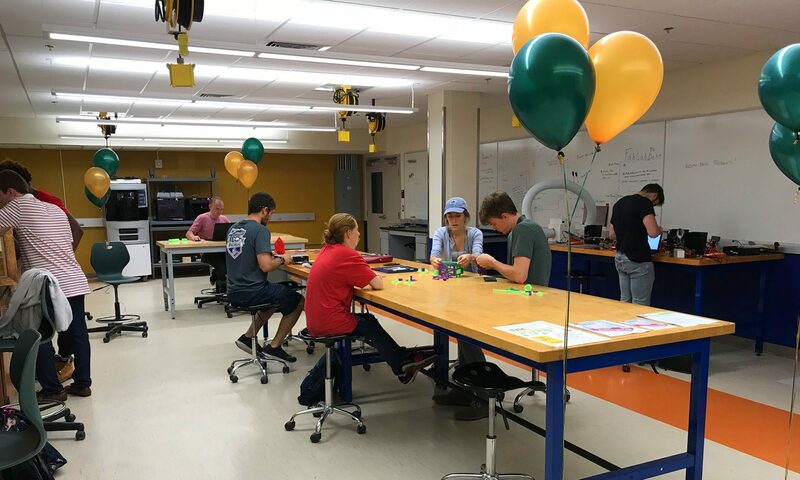 Embedded in the event will be the annual Aiken Engineering Challenge, presented by UVM’s College of Engineering and Mathematical Sciences. K-12 students and families are invited to browse maker and engineering exhibits, participate in programs and workshops and to cheer on students participating in the Aiken Engineering Challenge. The day includes opportunities to make, create, learn and play while exploring engineering, music, science, technology, and more.